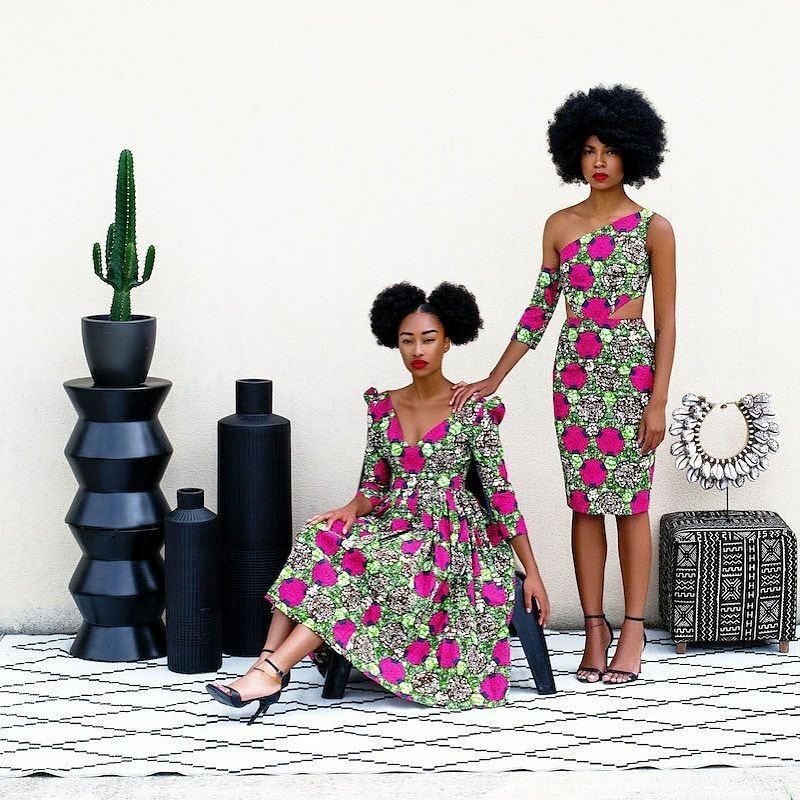 Ankara Styles #436: 5 Top Street Styles You Can Make With Your Ankara! If you were at this year’s Lagos Fashion Design Week and the GTbank Fashion weekend, you will agree that Ankara is taking the upper hand. The style most alluring to the photographers were the eccentric street style and edgy fashion people displayed. Of course, street style would never fade, Each day it becomes more interesting and acceptable in our society. We have come a long way from basic print skirts to fun and edgy palazzo pants, shift dress, edgy tops and play suits. Our A-list celebrities are not left out on this trend! Tiwa Savage is a lover of the prints, she looked drop-dead gorgeous in a shift dress with layered sleeves. She definitely killed this street style by completing her look with her blonde hair and pair of white sneakers. From the clothing brand- Midget Giraffe, we loved how she paired the mesh fabric with the top and loose pants. This scores a major point! Isn’t ‘Bolinto” just cute in her cold shoulder top matched with another print skirt. Here, she stepped up her game with the mixed print style. A bright red sneakers and chunky accessories is perfect for that edgy afro-street style look. One major trend that was all in our faces was the Bardot dress/top. Queen Macee is the ultimate queen on this trend. She goes edgy and chic in a turban and thigh-high boots. Mulenga Chilese gives me goose bumps in her maxi dress! She gives us the boho-chic vibes and accessorizes with her fancy woven hat. The bardot top just got classier with the layered flare sleeve. Don’t be basic with your tops, go the extra with details on the sleeves, necklines or hemlines (as in asymmetric hemlines). She pairs it with an unconventional denim with the frayed hemline- how stylish! Paola Mathe Ties The Best Turbans & We Are Loving The Vibe!